The voices of Fortress Maximus, Hardhead, Hun-Grrr. Mindwipe, Scattershot and Scorponok in the Transformers Generation 1 cartoon. Mr. Keener will be taking part in a Q&A panel and autograph sessions with the attendees of the world’s largest fan-run Transformers convention all weekend long. 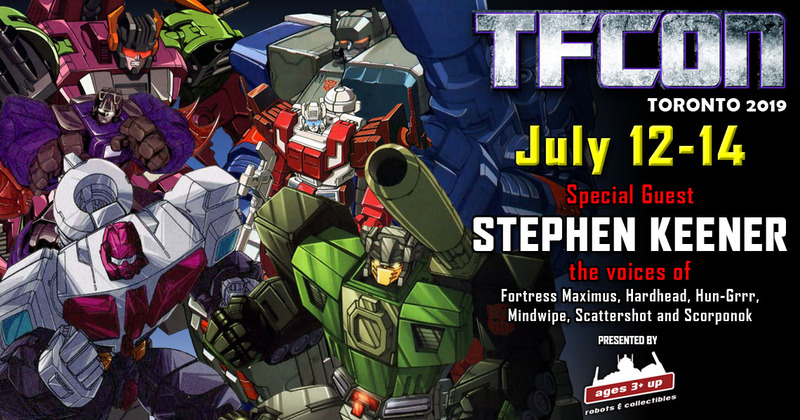 Be the first to know about guest announcments and the latest updates from TFcon. You can easily withdraw your consent at any time.